The AppBrain SDK lets you show user-friendly app install ads to your user through interstitial or banner ad units. Our high-quality ads provide a good user experience and great monetization potential. 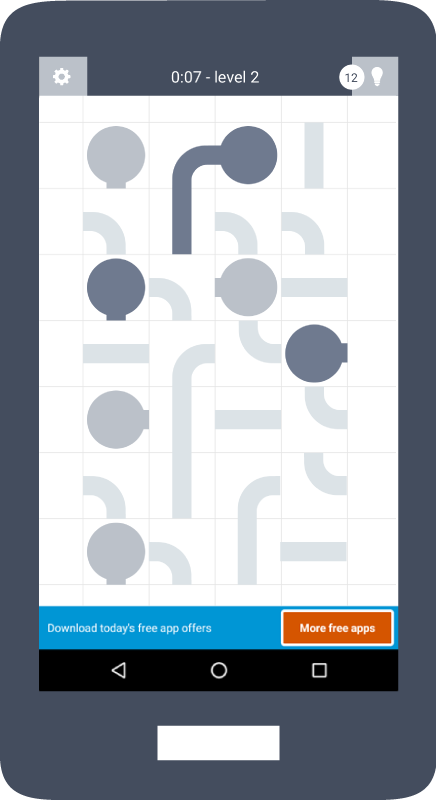 A minimal amount of development is required to add AppBrain ads to your app or game. What's the best way to monetize your Android app? After the Android app development phase, you want to know how to best monetize your Android game or app. At AppBrain, we have been thinking about this problem for a long time. We have developed dozens of own apps with millions of downloads, and have found that a combination of ads is the best way to earn money. The most effective monetization strategy for our Android games has been a combination of banner, interstitial, and offerwall ads. Therefore we have built the AppBrain SDK to also include these ads. We believe that the AppBrain SDK has a place in any ads-based business model. 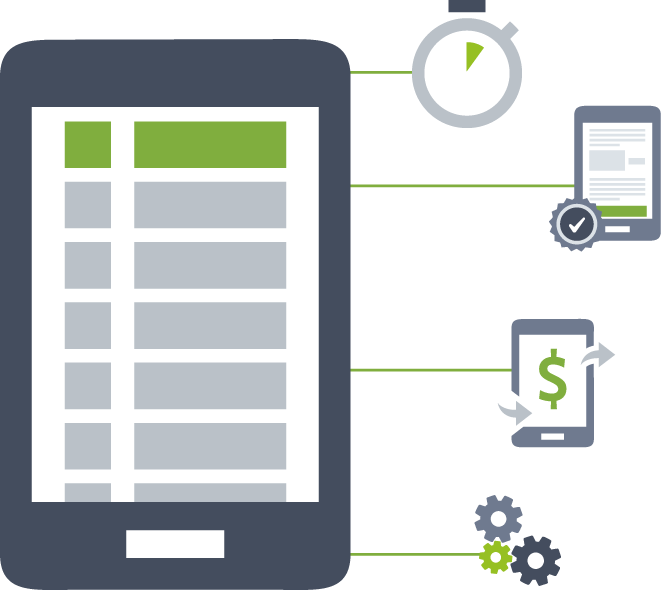 The AppBrain SDK provides effective interstitial and banner ad units for your Android app. The SDK has 10 different designs for the ad units, which it will automatically optimize. This guarantees you make as much money as possible. Promote free apps to your users in a non-intrusive way using our interstitial. 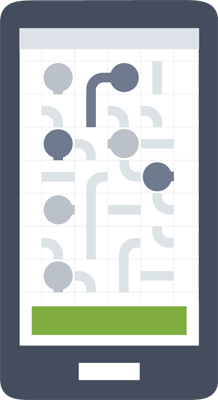 Use industry-standard banners to promote free apps to your users and monetize your app. Promote free apps to your users with a "More apps" button or menu item. It will take the user to our AppBrain offerwall, where they can download free apps. Each app a user installs will generate revenue for you. Track the performance of every ad unit on our AppBrain self-serve dashboard. The AppBrain Dashboard provides a clear overview of all traffic and revenue of each app. You can easily determine which banners of interstitals perform better than others and maximize your revenue. After monthly finalization we can automatically transfer your money by PayPal or Wire Transfer. If you transfer your earnings to promote your apps via AppBrain Promote, we give you a 10% bonus. This is a great way to acquire more users. We will serve the best ads in the market. Not only do we have over 200 own unique campaigns, we also work with the best performing ad networks in the world. The AppBrain SDK can be installed in a matter of minutes, is 100% compliant with Google Play policies, and offers the best in class features. By integrating the AppBrain SDK you can earn money, and additionally you'll get the following handy statistics and features for free. One of the most important metrics is retention rate. 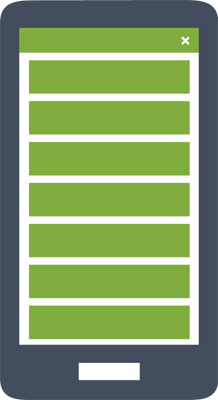 By installing the AppBrain SDK you can track exactly how many people are still using your app after a while. Add special conversion events you want to track in your app or game. Want to know how many people get to level 3 in your game? You can easily add a special event in your dashboard. User statistics for all different versions of your app can be tracked easily in your dashboard. This gives you a clear overview on how fast users update to a new version of your app. Sometimes you want to change a tiny little thing in your app without going through the full release cycle. By using remote settings you can easily change values or settings on the fly. You want to give discounts, alert people on changes in the app or simply want to say "Hi!"? Use the cloud alerts to message all your app users with a couple of clicks. Is the AppBrain AppLift SDK compliant with the Google Play Ad Policy? Yes! All versions of the AppBrain AppLift SDK are 100% compliant with the Google Play Ad Policy. AppBrain is a leader in providing advertising solutions with great user experience. 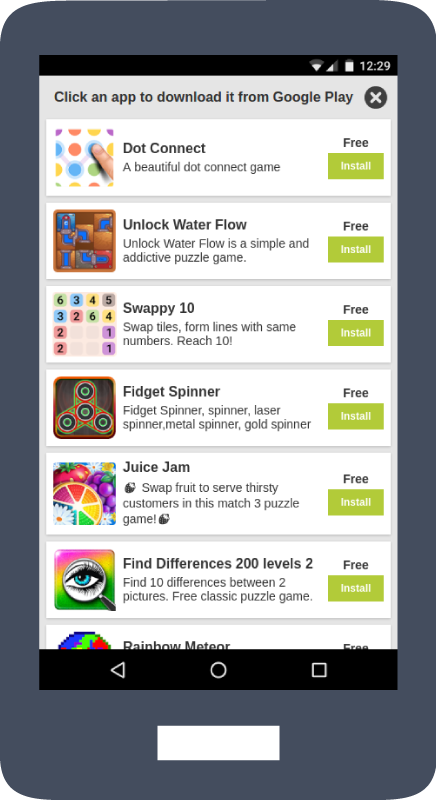 Why is AppBrain AppLift better than other mobile ad networks? AppBrain generates significantly more revenue than traditional ad networks. Our developers tell us that they increased their income by 10 - 40x by switching to our monetization solutions. 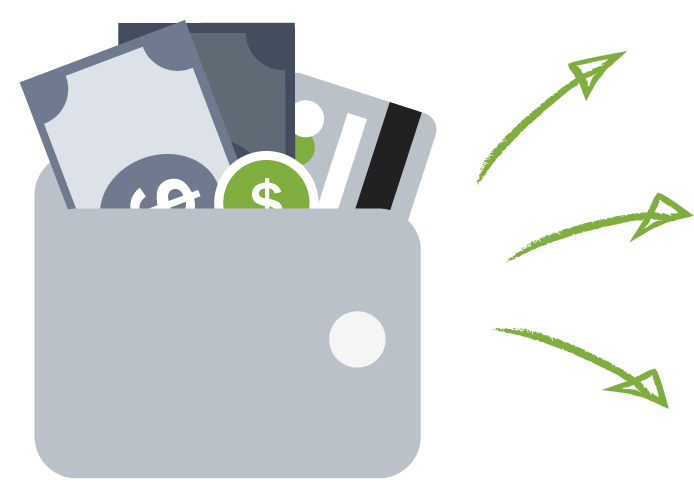 Fast payments: On average our developers receive their payment within the first days after a month completed. No more waiting for weeks or months to get paid! 100% focused on Android: AppBrain is a pioneer in Android app discovery and Android advertising. Our team is exclusively focused on the Android platform to provide our developers with the best possible monetization solution. Is signing up to the AppBrain developer service free? Yes, it is completely free to sign up and use our developer services. In fact, you can even earn money by using our SDK. Is is required to integrate the SDK? You can make use of our paid cost-per-install app promotion service without integrating the SDK. If you want to use the AppBrain Ad Network to monetize your Android app you need to integrate the AppBrain SDK. Can I combine the AppBrain ads with other Ad Networks? 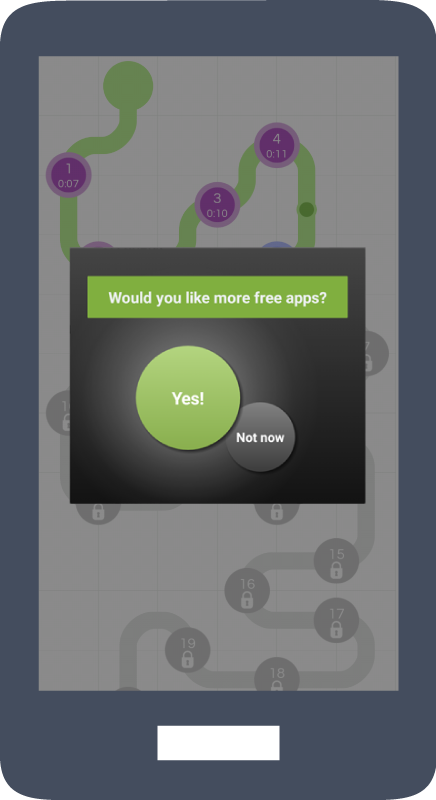 Yes, AppBrain doesn't impose any restrictions on other ads you show in your app. Therefore it fits well into any app monetization strategy. Can I use AppBrain to monetize my Android game? Yes, where we say app we also mean game. In fact, most of our advertisers are game developers, so monetizing your Android game with AppBrain works very well. What is the best way to integrate the AppBrain SDK? The most effective way to earn revenue is by using the interstitial (offerwall) that's contained in the SDK. By calling the showInterstitial function you can show this screen to the user when people exit your app, when they enter, or somewhere in between. We advise to use the AppBRain banners with a mediation solution such as Admob mediation, but they can also be used on their own. How much money can I expect? What is the eCPM? The CPM of the interstitial is very high (> $2), However, you can show an interstitial ad less often than you can show banner ads. All in all, the AppBrain interstitial significantly outperform competing offerwalls, app wall or smartwall in terms of overall revenue per app install. The AppBrain banners provide leading eCPMs, depending on your audience the CPM may be between $0.50 and $1.50. In what languages is the AppLift SDK available? What are users' reactions to the AppBrain SDK? Is it compliant with Google's terms? Users generally react positively to the ads provided by the AppBrain SDK, due to their unintrusive nature. The AppBrain SDK is and has always been fully compliant with Google's "Google Play Content Policy". We have done a study on what factors influence unpublishing of apps on Google Play and AppBrain was found to have no negative influence, in contrast with most other ad networks. Who is using the AppBrain SDK? Our AppBrain SDK is used by thousands of app developers, from small to large publishers. Some example apps can be found at the top of this page. Where can I find more information about the AppLift SDK? The technical documentation page for the AppBrain SDK can be found in our Documentation center. It provides an easy tutorial how to embed the SDK and start monetizing your app. My app is using Unity 3d. Can I use AppBrain AppLift with Unity 3d? 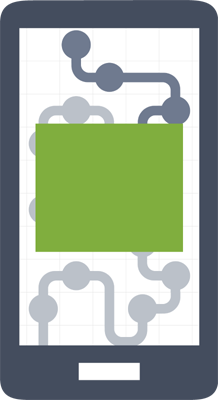 Yes, AppLift is integrated with Unity. You can follow the Unity ad integration instructions to add ads to your Unity app. What is the best way to monetize my Unity app? Please sign up with an AppBrain account and get access to the dashboard. From there you can start by clicking "Add SDK" next to one of your apps. My app is not found on AppBrain. How can I add it? Helping our developers is most important to us. Please contact us directly at [email protected], we are looking forward to helping you. AppBrain is built by AppTornado GmbH, a startup with offices in Switzerland and the Netherlands led by two ex-Google engineers. After developing the AppBrain App Market application for Android (79068 ratings, average 4.37 stars), AppBrain's mission today is to make Android developers successful. We deliver the best and easiest tools for your apps or games. Integrating the AppBrain SDK typically takes less than 20 minutes. You can first sign up to our dashboard if you haven't done so already, or dive into our technical documentation.